Today is the day when a new game in the PuppetShow series is released. PuppetShow: Lost Town is the new sequel. The game is full of everything that you would expect from it having played the previous releases. One of the brightest features, of course, is how the toys are made to be the horrifying part of the game. As you follow a lady with her daughter into one of the caves, you become a witness of kidnapping. Everyone who played at least one of the series games or at least read the title of it knows that toys and dolls and clowns are the ones who actually run the whole game. This one is no exception. The game starts with a story of a festival that takes place in a town where new caves have been discovered. As you follow a lady with her daughter into one of the caves, you become a witness of kidnapping. Some mechanic puppet, that looks a lot like a robot by the way, jumped out of the shadow, grabbed the girl and ran away. You as a detective is now asked by the mather to find the girl and discover what is going on. So you start your quest from that moment on making your way through the caves. You will do a lot of wandering around the locations inside and outside interacting with the people and items. 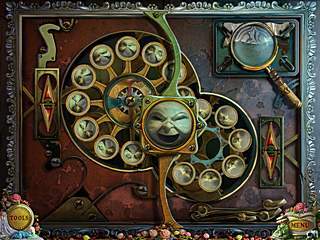 That whole quest will involve the hidden object scenes and also various small puzzles. 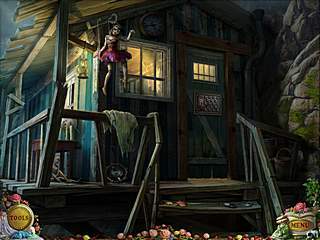 The hidden object levels will have you to use some other items on the scenes to get what you are asked on the list. The mini-games that go as a natural part of the quest are simple and familiar, but unique in their presentation. All of the graphics are as always detailed and beautiful. The hidden object scenes don't have the stuff that shouldn't be there. There are also animated parts that add a more realistic touch to the game. Some of the effects are really creepy, meeting the initial goal as I suppose. The game is voiced, so you don't have to read a lot of dialogues or the story. This new sequel stands up to the series standards and will most probably please any genre fan. Looking through your wetisbe a thought occurred if you ask me. I'll tell a person honestly that today there are actually so many MMORPGs that I are not aware of what is the perfect play. Again and again produced some new game and it's also hard to figure out what level they will represent. Obviously as a huge fan of these types of games have its favorites, but these are simply old games that happen to be already that you can buy for several years. I would want to try something brand-new. Do you have any ideas? 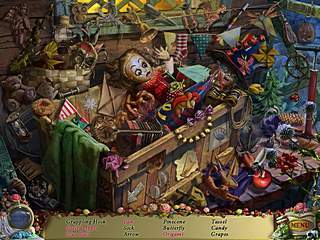 This is PuppetShow: Lost Town Collector's Edition review. Download this game here.